There’s a four-letter word in the headlines lately: Iraq. The withdrawal of U.S. troops in 2011 was done with the expectation that Prime Minister Nouri al-Maliki would unite his country and ease ethnic tensions. Instead, Maliki, a Shiite, did what he could to ostracize minority Sunnis… perhaps in response to what Saddam Hussein did to Shiites during his ruthless decades in power. So now radical Islamists have been on a rampage, capturing cities, executing opponents, and giving President Obama another foreign policy headache. Ken Walsh of U.S. News & World Report joins Political Junkie host Ken Rudin to talk about the blame game already in play in Washington: Who Lost Iraq? And there will be plenty of blame tossed around after next week’s primaries. Oklahoma Republicans are battling among themselves for the seat being vacated by Sen. Tom Coburn, who is quitting in midterm. Tulsa World reporter Randy Krehbiel talks about the two leading candidates. And in upper Manhattan and parts of the Bronx, the 44-year House career of Charles Rangel is in serious jeopardy as well. 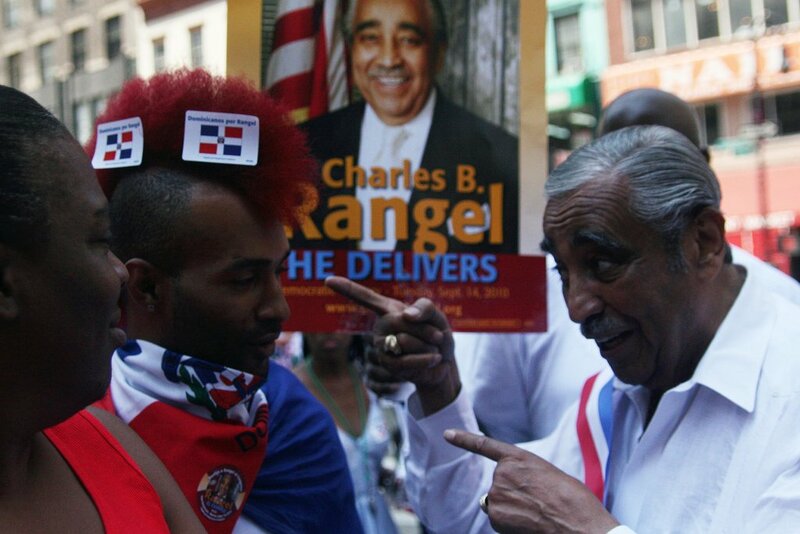 Rangel, in Congress since 1971, is facing not only the opponent who almost defeated him two years ago, but advanced age, lingering ethics questions, and redistricting that has turned the once Harlem-dominated seat into a Latino majority district. Celeste Katz of the New York Daily News and Raul Reyes of USA Today profile one of the more interesting Democratic primaries of this year’s election cycle. And should Rangel or Mississippi’s Thad Cochran lose, it will be just one more example of the changing face of the next Congress, where seniority and willingness to get things done are being replaced by candidates who are distrustful that anything can, or should, get done on Capitol Hill. Norm Ornstein of the American Enterprise Institute, one of America’s leading Congress-watchers, joins us to talk about the ongoing changes. And one more change is guaranteed: with the primary defeat last week of Eric Cantor in Virginia, there will be a new House majority leader. And Mike Crittenden of the Wall Street Journal profiles the likely victor. Finally, it was 14 years ago this week that the Green Party named consumer advocate Ralph Nader as its presidential nominee. Nader spent the campaign talking about corporate corruption and the battle between the “haves” and “have nots” … while the Democrats spent the aftermath of the campaign blaming Nader for causing Al Gore’s defeat.